ADI's recent post on 'How To See Better In the Dark' makes basic mistakes, promoting outdated technical claims. Interestingly, ADI completely omits super low light cameras. This is surprising because ADI sells many of these cameras (e.g., Axis Lightfinder, Hikvision Darkfighter, Hanwha Wisenet X, etc.) and they genuinely provide much better color video in low light. 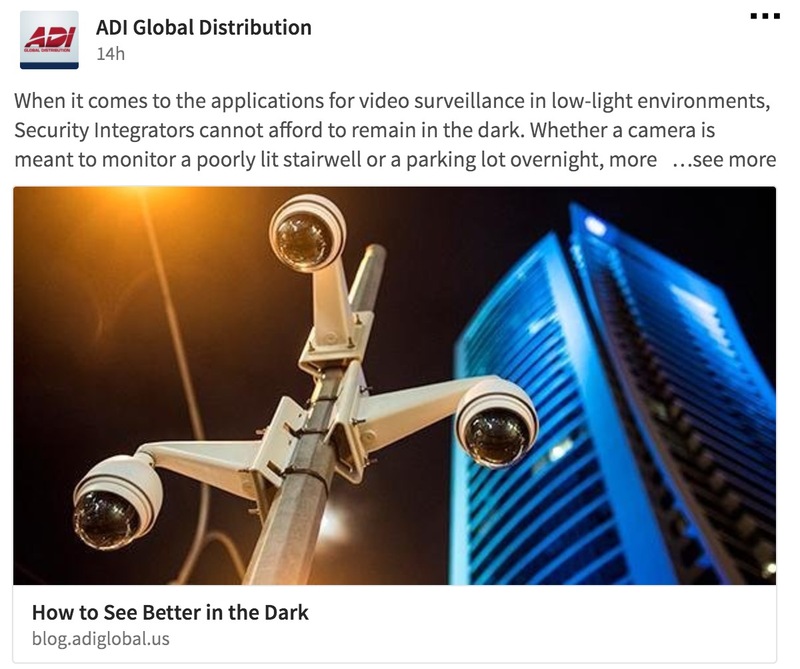 ADI could have used this opportunity to upsell larger imager cameras as well (e.g., Axis Q1635 or the 1/1.8" imager Hikvision Darkfighters, etc.). Finally, there are photography imager based cameras that are excellent in low light. Understandably, ADI would not cite the Sony 35mm 4K camera since ADI does not carry Sony but they could still tout the Axis 20MP camera, which they do sell. ADI's first recommendation is slow shutter. Slow shutter should simply be avoided. A decade ago, slow shutter was a 'feature' but only because many cameras were so poor at low light. Now, it is something that every camera has but most need not use, because imagers have gotten much better and integrated IR has become commonplace. And slow shutter will cause blurring at night for even moderately moving objects. Again, a decade ago, true day / night was a differentiator. Now, day/night is available on most cameras and essentially every camera with integrated IR, which is the overwhelming majority of cameras. Offering AGC is not 'select' or a differentiator since every camera includes this. It is like saying 'look for a camera that supports a lens'. However, Digital Noise reduction, used with gain control, is a differentiator that ADI omits. This is strange since overwhelmingly IP cameras today support integrated IR, including ADI's offerings. As a matter of practice, it is the #1 way of getting low light images, given its low cost and broad availability. 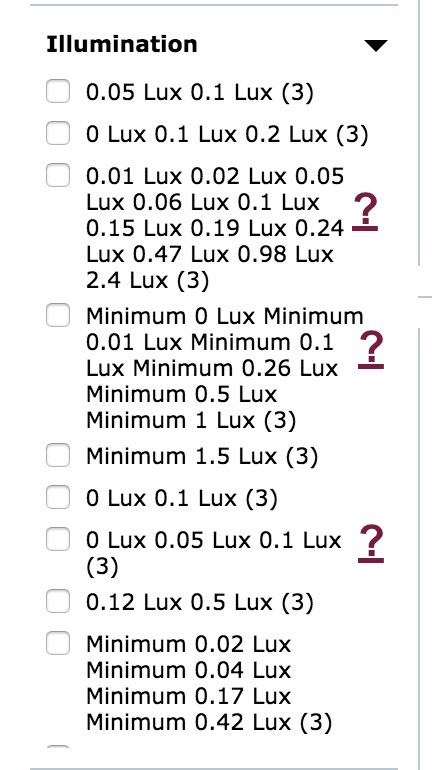 The distance limitation for IR illuminators is increasingly untrue. First, there are many more integrated IR cameras being released with longer IR ranges. For example, our Camera Finder shows ~700 fixed cameras with IR ranges of 30m/ 100' or more. And we have found in our testing, the bigger problem is that since most cameras today come with such wide FoVs that, regardless of the integrated IR range, the problem is that the pixel density is so low it is hard to make out details at such distances. Contra ADI, avoid slow shutter, ignore day/night and AGC as 'differentiators'. For lower cost b&w low-light, focus on integrated IR cameras, many with quite long range distances (search with our Camera Finder). For higher-priced, color imaging, consider super low light and photography sensor cameras. ADI does a lot of things well - its large branch network, extensive stock, and its masterful pitting manufacturers against each other in across the board sales. Related, see IPVM's Distributor Favorability Rankings. However, their technological understanding remains poor, which hurts their sales and also their manufacturer partners who have real differentiators here.  Only IPVM PRO Members may comment. Login or Join. Given their target audience and who they are trying to sell to some of these tips are pretty solid. That being said they are pretty dated. They are trying to get into social media without true current thought leadership. Wow...want to say, "the under educated and uninformed educating the under educated and uninformed." One might give the author the benefit of the doubt that he is just trying to communicate with his target audience of video illiterates. Not sure about that. Pick up a book and read. More importantly, pick up a few cameras and shoot them out in the real world like IPVM does. One can begin to understand optical physics pretty quickly without a physics degree. Nothing here is strange to those of us in the UK used to dealing with ADI. 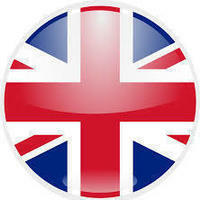 They have extraordinarily poor technical support and an abject lack of any depth of knowledge. They have turned Gardiner into box shifter's without having clue whats inside them. Their preference for whatever manufacturer gives them the best "deal", then transposes into what they promote at branch level - and never on the technical attributes or intended use. Having previously sold into ADI as a manufacturer, it is astonishing what poor product knowledge exists at branch level of CCTV, intruder is fine - but IP cameras really are a bridge too far for them. 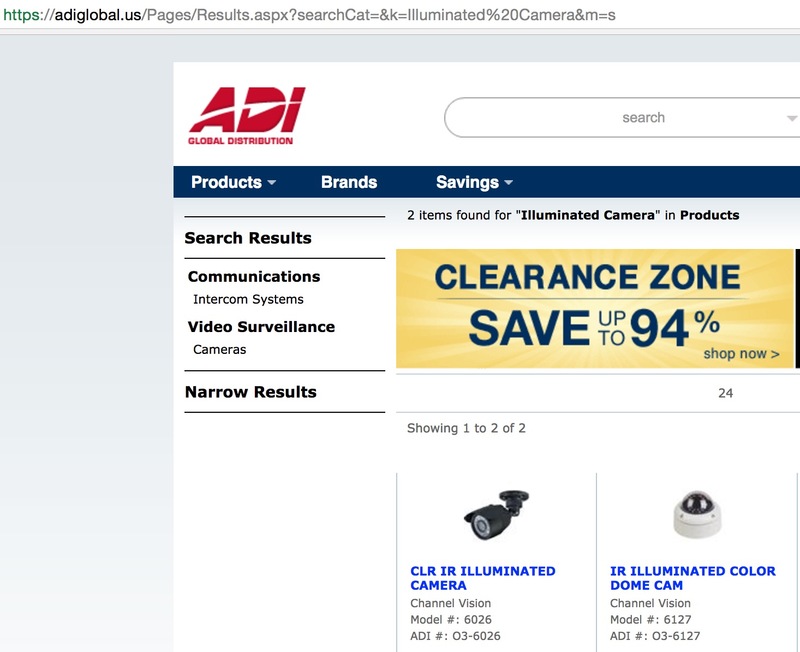 ADI's link to 'IR illuminators' returns their search results showing only 2 cameras... This is strange since overwhelmingly IP cameras today support integrated IR, including ADI's offerings. 1000+ shown thru the search "IR camera". Although "IR illuminators" returns just 2, paradoxically if you ask for just the singular "IR illuminator", you'll receive +30 IR illuminators. No idea why ADI choose the search term they did, just sloppy on their part. They do have filters for various features but evidently not for integrated IR. It's hard for me to understand how a multi-billion dollar corporation who specializes in selling video surveillance has this messed up so badly. Compare to our Camera Finder. Compare to our Camera Finder. The real sad issue is that the useless search functionality is just how the branch network find solutions for their customers! Seriously, buy from elsewhere, from a distributor who really invests and supports both the products and the integrator.